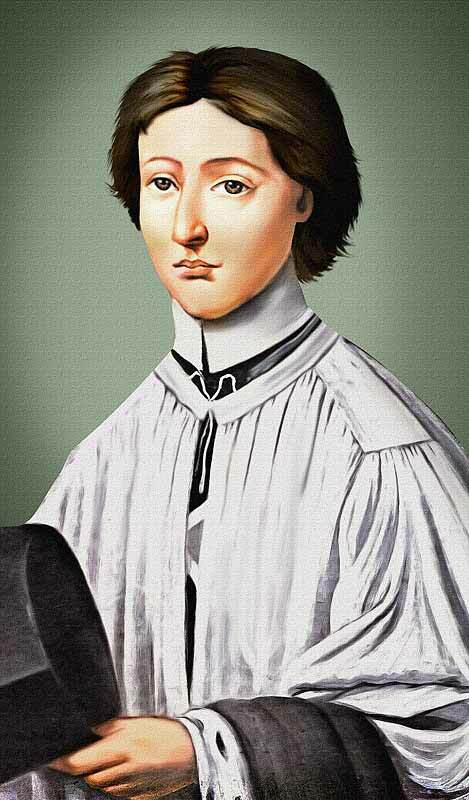 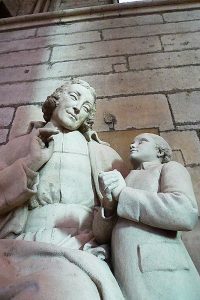 An altar server from the start, De La Salle regularly attended Mass and prayers in Reims Cathedral and was a Canon for 16 years. 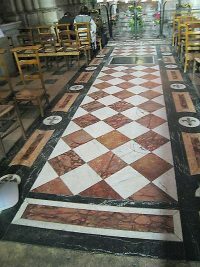 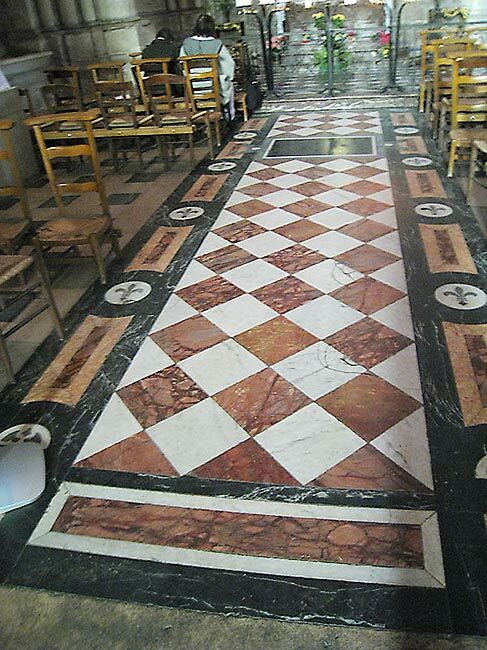 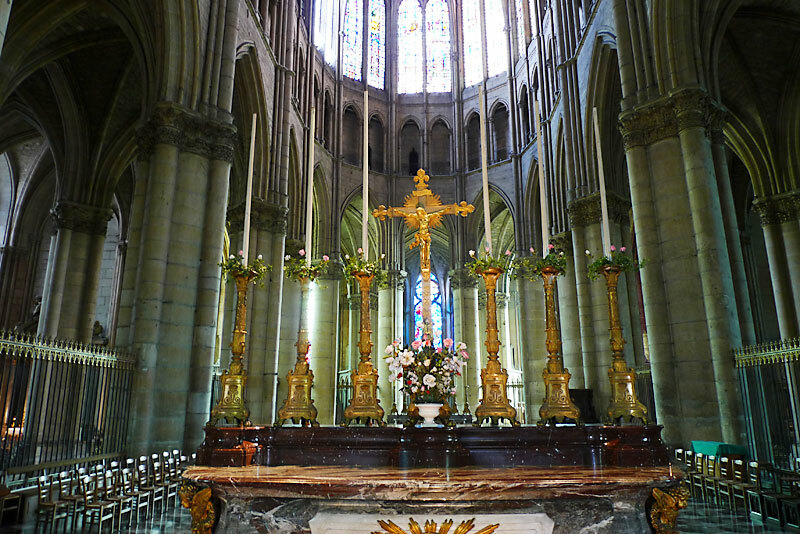 This is also where he said his first Mass, and around which his liturgical life revolved. 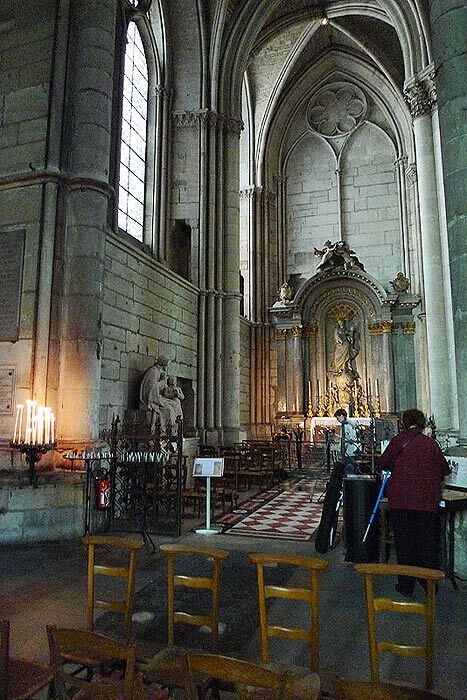 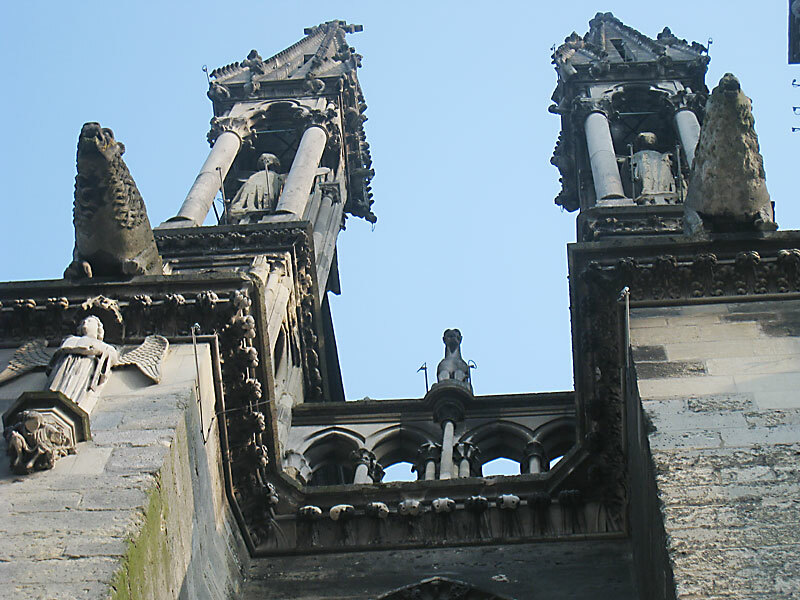 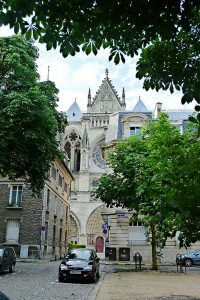 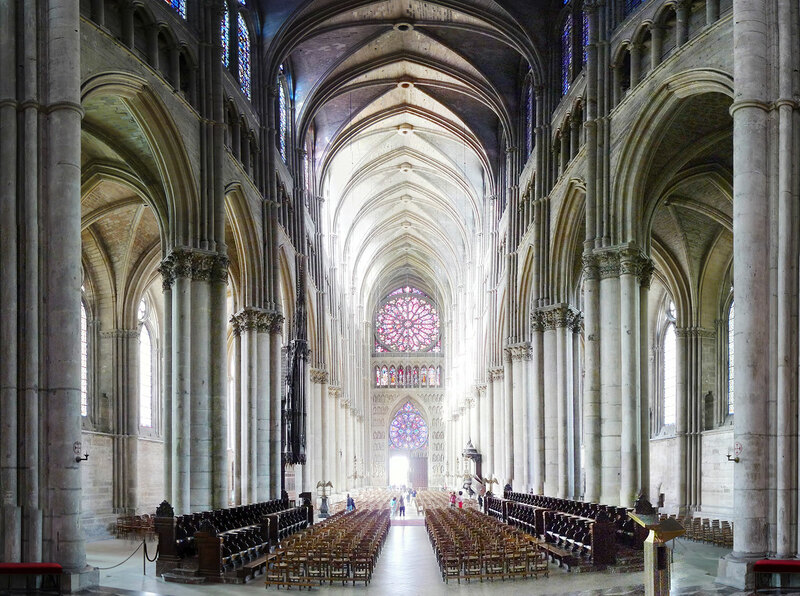 It was in the 5th century that King Clovis was baptized by St. Remi at this cathedral, and it is the place where most of the French kings have been crowned. 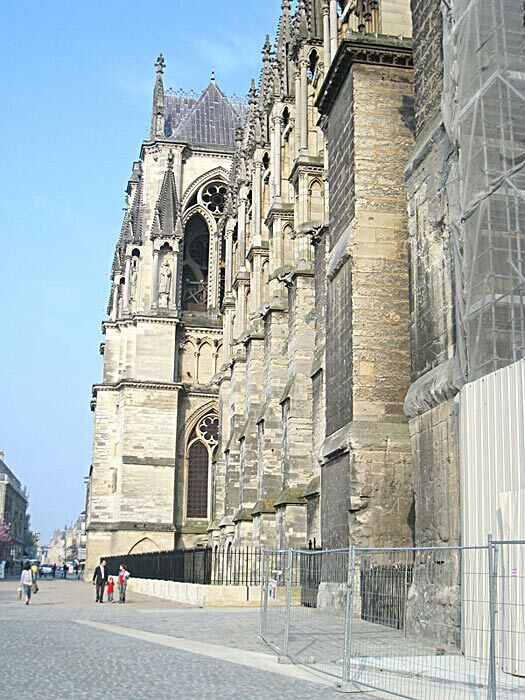 The actual building was begun in 1211. 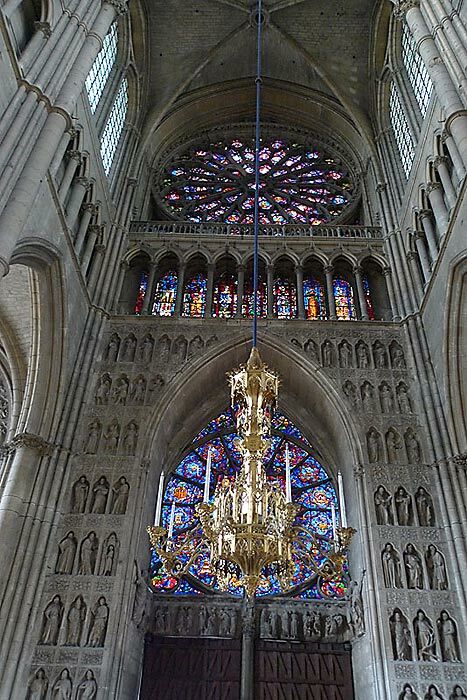 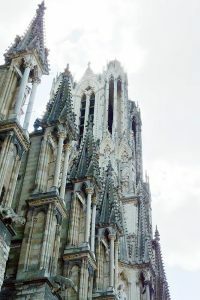 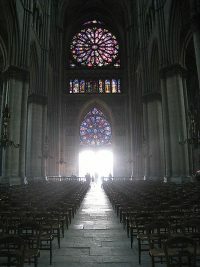 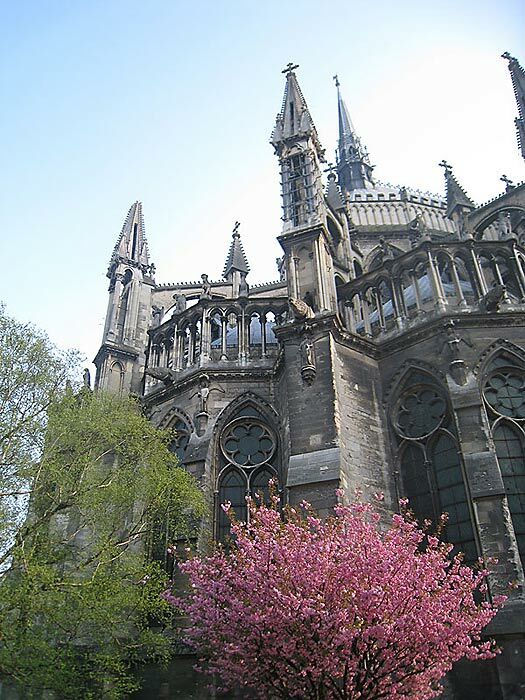 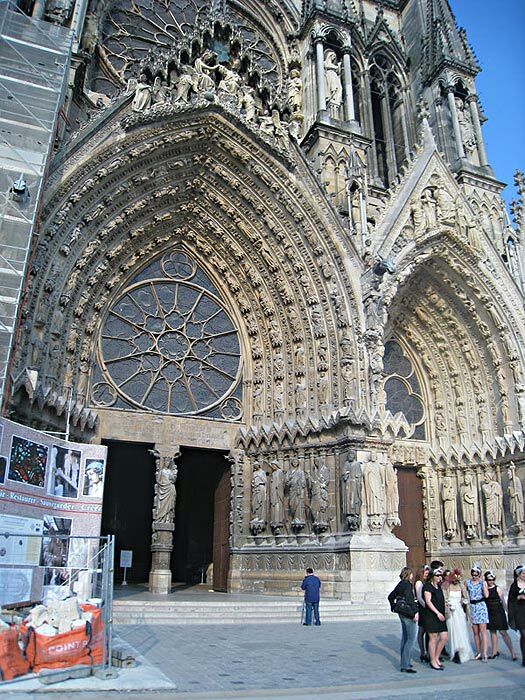 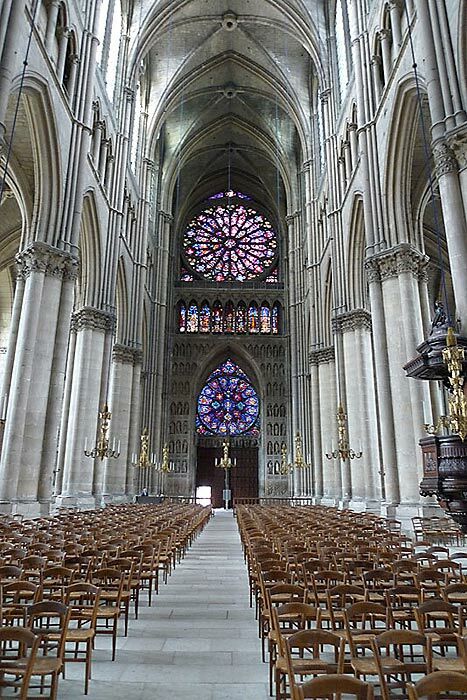 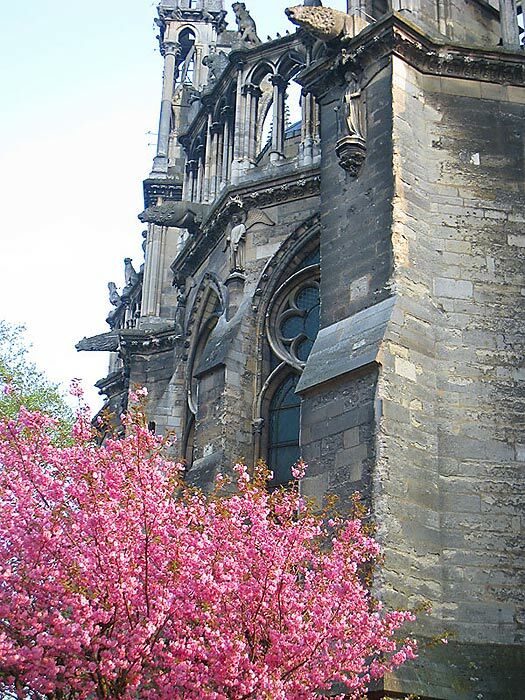 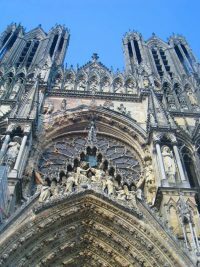 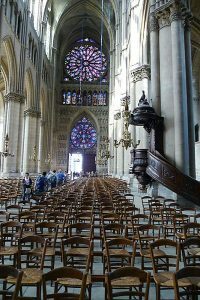 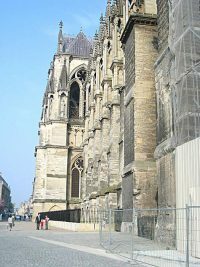 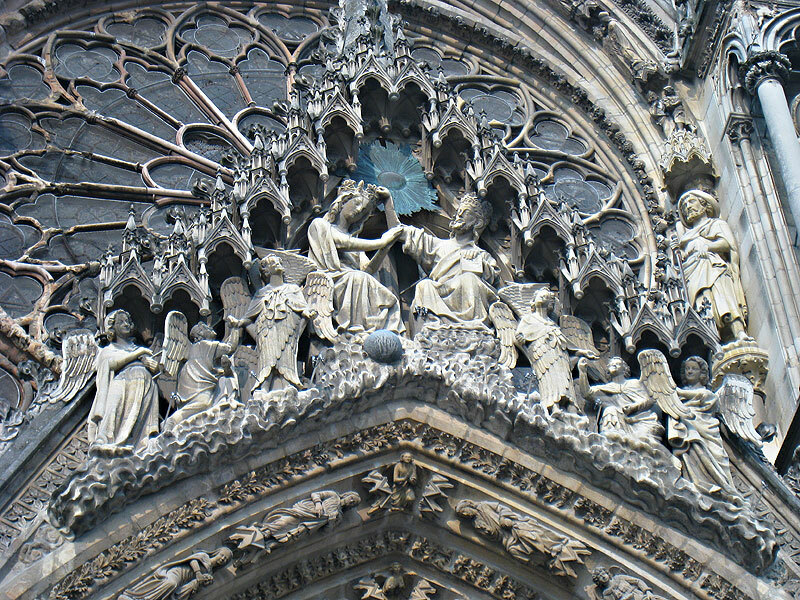 Reims Cathedral, like that of Paris and Rouen, is consecrated to Our Lady. 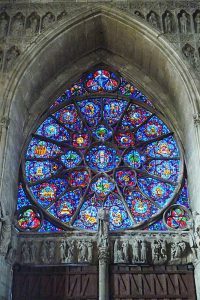 It is considered one of the most beautiful in the world. 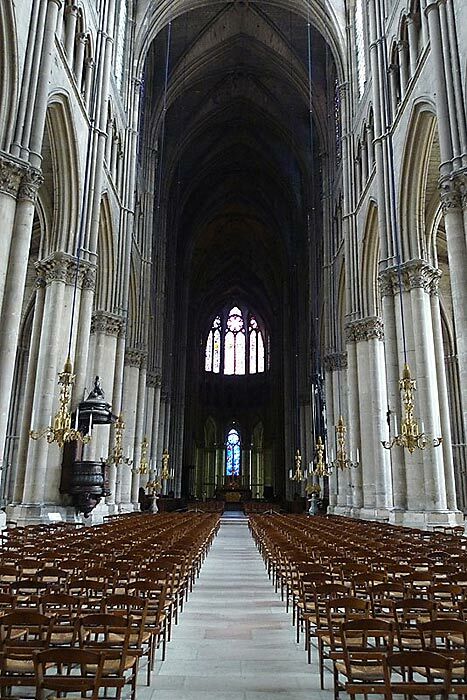 Under this cathedral traces of three others have been found, dating from the 5th, the 9th and the 12th centuries. 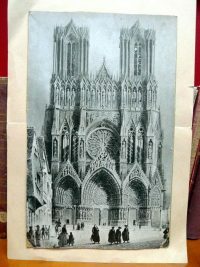 The cathedral was damaged by shells in the First World War. 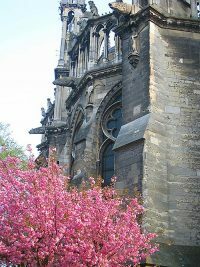 A central tower which was then destroyed has not been rebuilt. 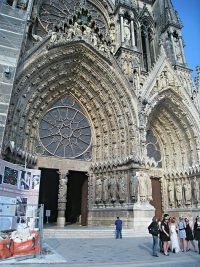 The west front, which is covered with some of the finest specimens of Gothic statues and reliefs, has three very fine portals with a large and beautiful rose window above them. Above the rose window is a royal gallery and above this two towers soar to a height of 270 feet. 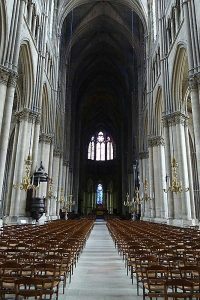 The interior of the cathedral is striking in its proportions: 455 ft long, 125 ft high, 98 ft wide. 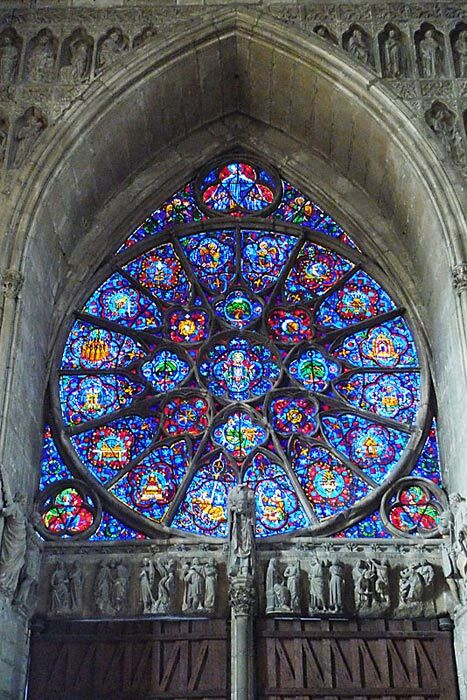 Much of the old glass has been destroyed, but the rose window is still impressive. 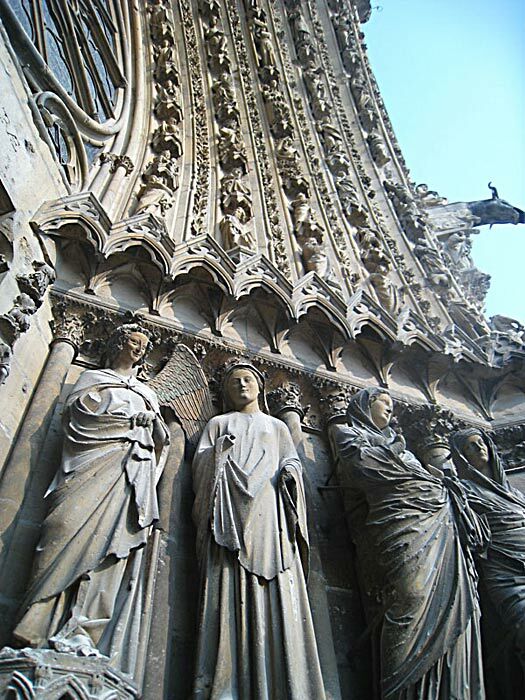 In niches on the west wall are over 100 statues, mostly from the 13th century. 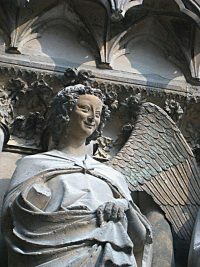 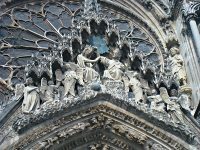 Of particularly note are that of the Glorification of the Virgin and, on the left porch, that of L’Ange au sourire (Angel with the smile). The Chapter House nearby recalls the Chapter Room where De La Salle, Nicholas Roland and the other canons counseled the Archbishop. 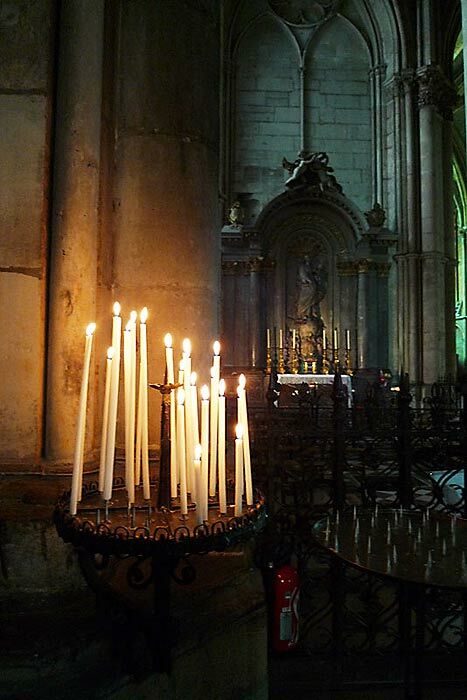 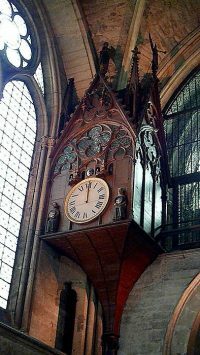 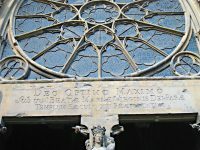 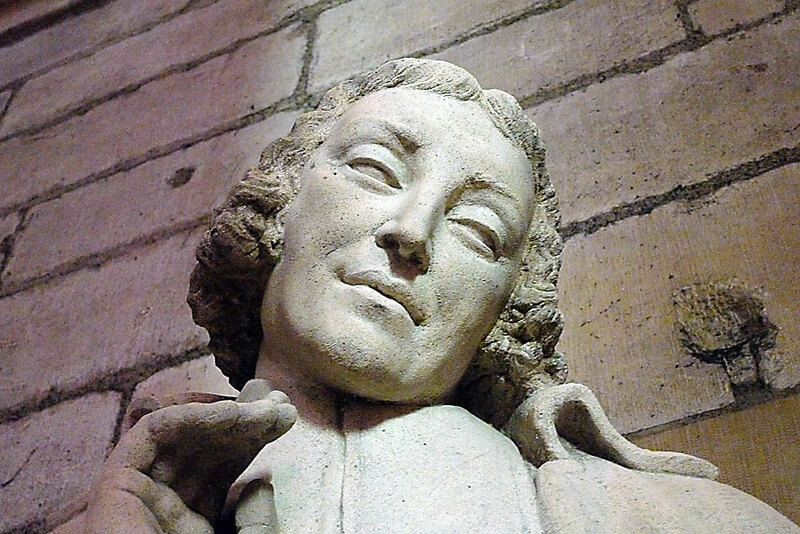 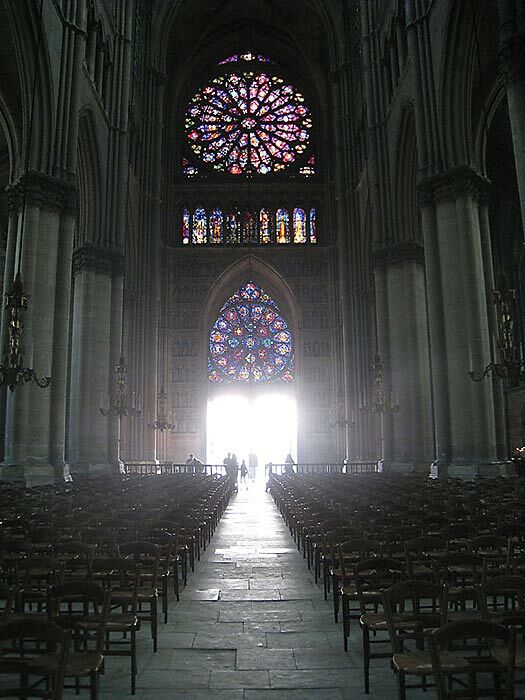 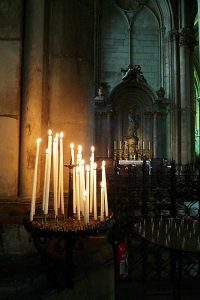 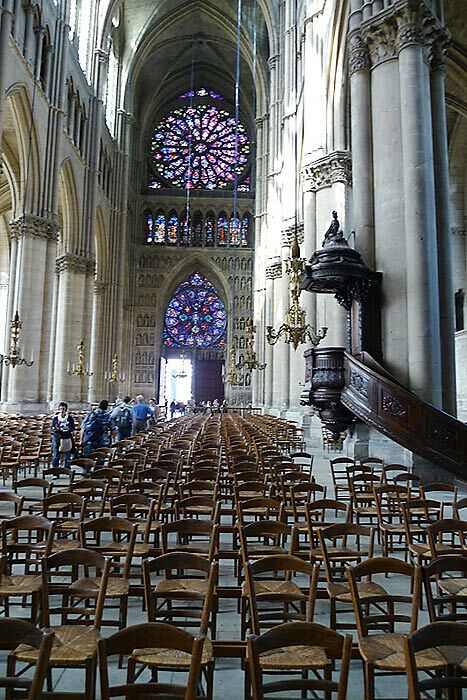 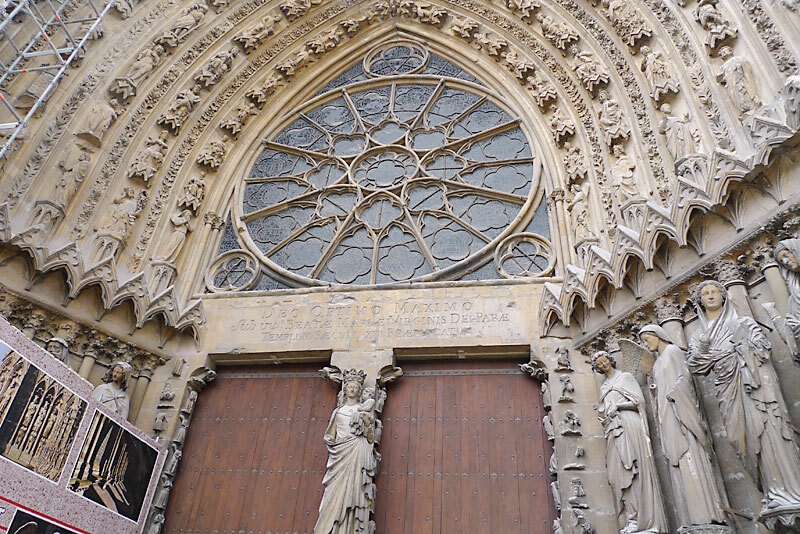 It was on January 7, 1667, at the young age of sixteen, that he entered the Cathedral through the magnificent main portal, decked out in all his finery, to take possession of stall number 21 which his cousin, Pierre Dozet, had resigned in his favor. 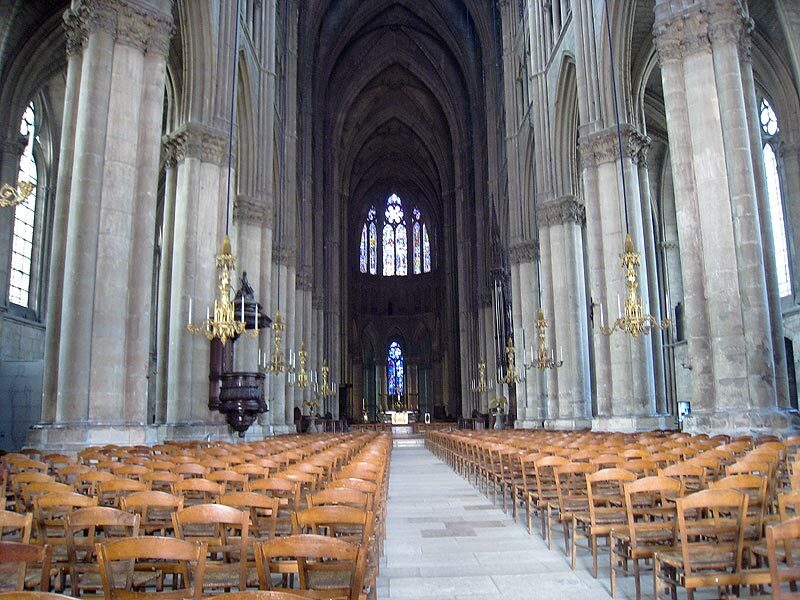 The present choir stalls are not the originals, which were replaced in 1745. 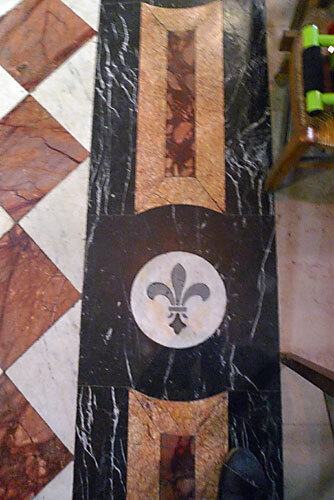 However, the original misericord is at the Hotel de La Salle. 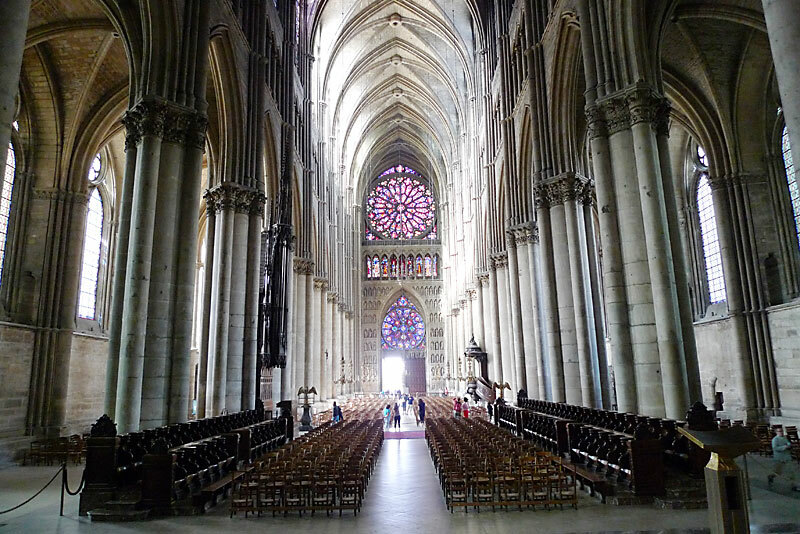 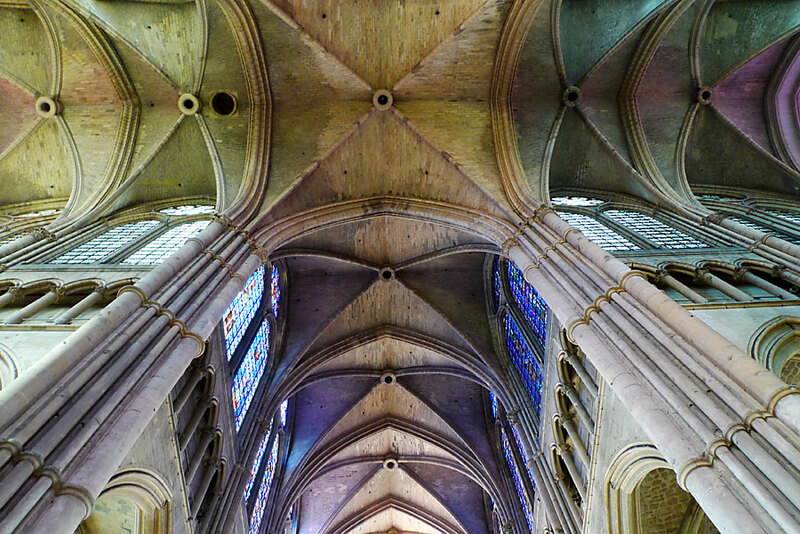 Throughout French history, canons from Reims Cathedral were noteworthy. Two became saints, four others Popes, 14 archbishops, 37 bishops, and 21 cardinals. 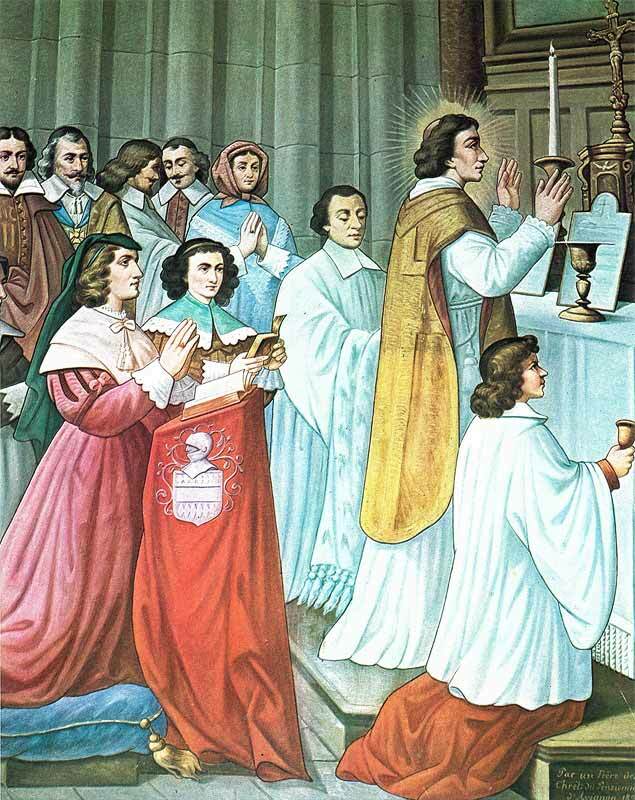 De La Salle was canon of this cathedral from the age of 16 until he was 32, and it was here that he was ordained as a priest on Holy Saturday, April 9th, 1678, by Archbishop Le Tellier. 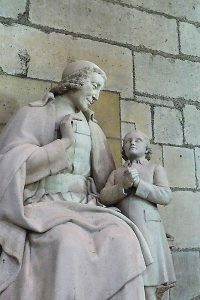 The following day he celebrated his first Mass in what is now the Lady Chapel. 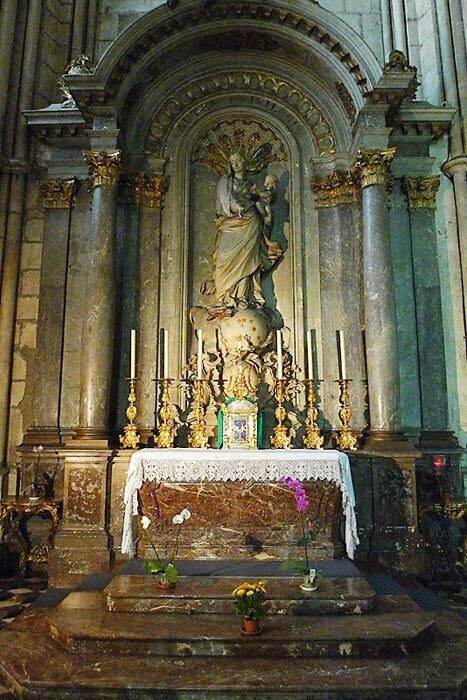 In this chapel is another statue of De La Salle by Lejeune. 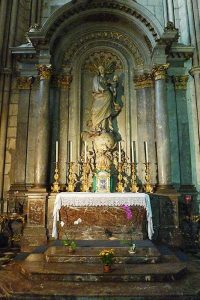 Some relics of De La Salle are now kept in the main altar of the Cathedral. 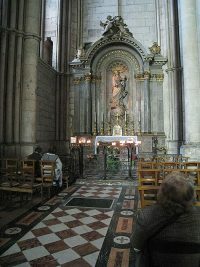 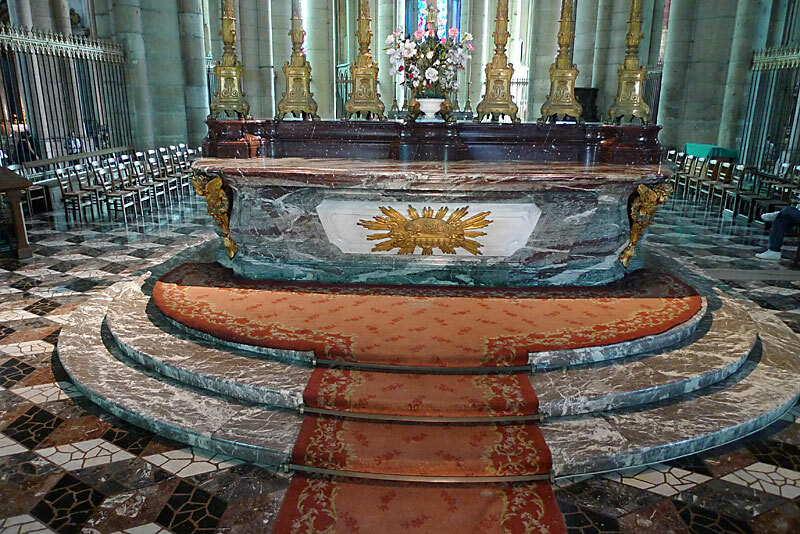 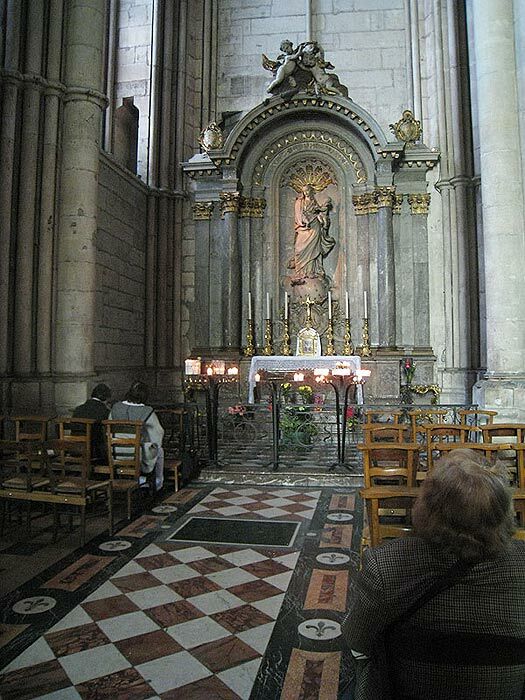 When Pope John-Paul II visited Reims, he prayed at this same chapel, where the Blessed Sacrament is currently preserved, and photographs of the occasion show the Lejeune statue of De La Salle clearly in the background. 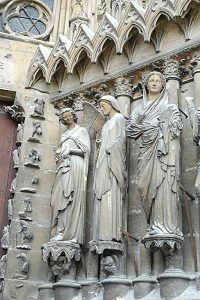 In the square outside the cathedral there is a statue of St Joan of Arc, commemorating her presence at the coronation of Charles VII on July 17,1429. On the north side of the square is the Palace of Justice, with the theater beside it. 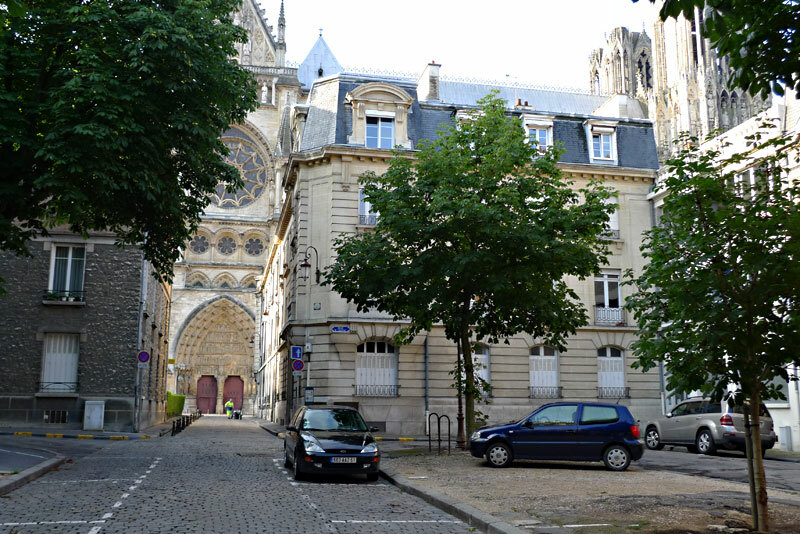 Across the Rue de Chanzy from the theatre is the 18th century Abbey of St. Denis, which now houses the museum of Fine Arts. 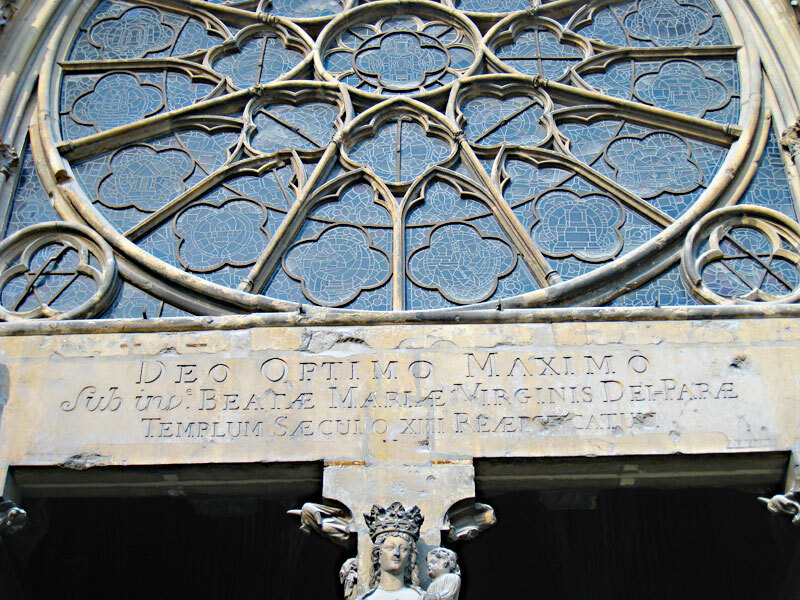 North of the Cathedral across the Rue Carnot, is the Place du Forum, the site of the Roman Forum. 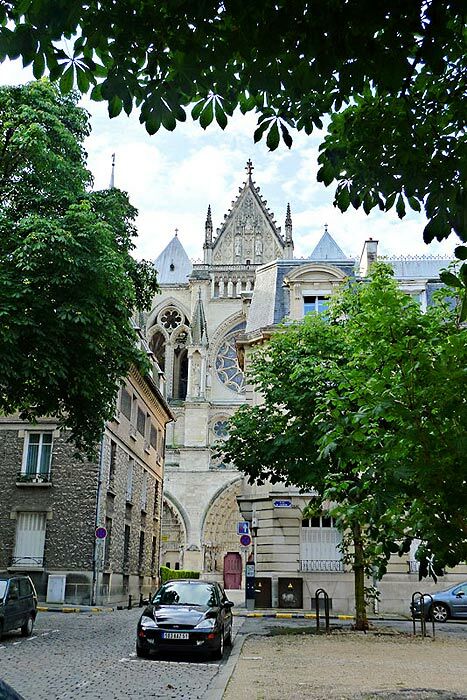 From here the Rue Colbert (named after the great Finance Minister, who was born in Reims) leads to the Hotel de Ville, a handsome Renaissance building of the 17th century. 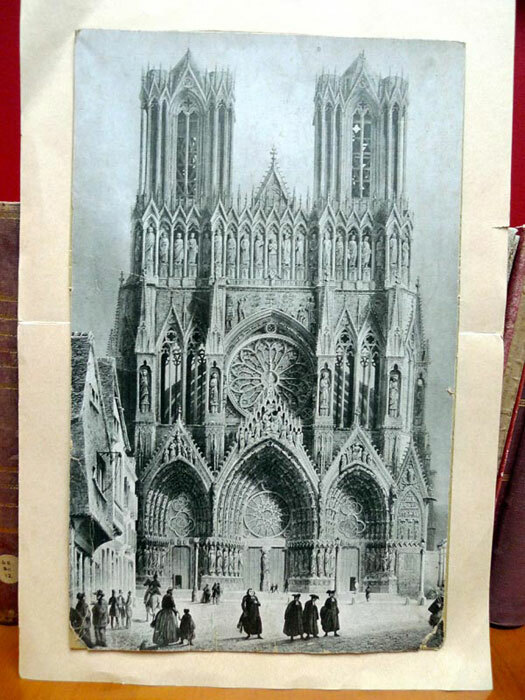 North of this again lies the Port de Mars, Mars’ gate, a Roman triumphal arch of the 2nd century, AD. 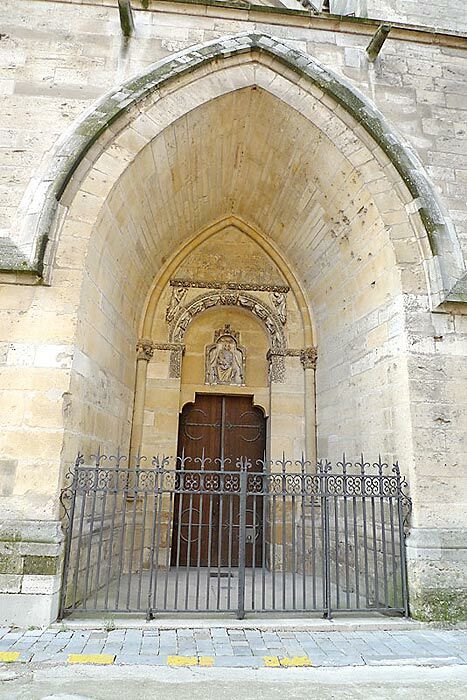 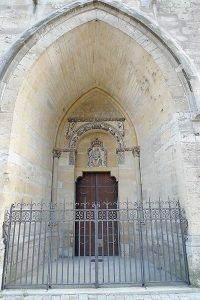 You will see the doorway (from the Rue Carnot side) of the old Place du Chapitre known to Canon de La Salle. 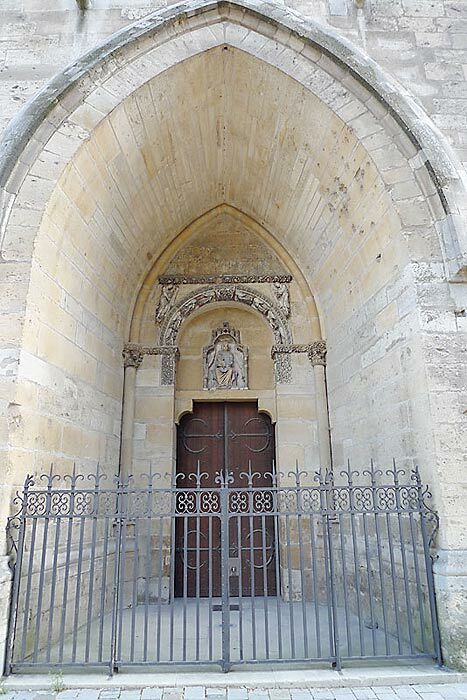 The large doorway into the side of the cathedral now has a metal railing in front of it. Only the members of the chapter would be able to enter the cathedral through that door. 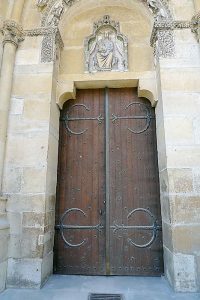 It was a beeline from their chapter housing to this door. 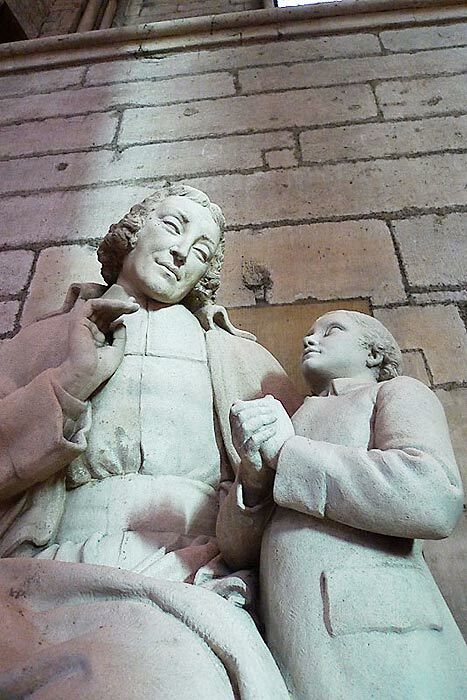 Growing up within this grand cathedral, how do you think De La Salle’s early thinking about the Church and God were shaped? In sixteen years as Canon of the Cathedral, what dissonances, if any, might have arisen as he became more involved with Adrian Nyel and the first Brothers? 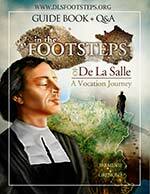 De La Salle’s attachment to the Church never wavered throughout his life. Where does his experience as Canon fit into that reality?